Atom is an extension of XML, just like RSS. Atom uses the .atom and .xml extensions and the application/atom+xml mimetype. 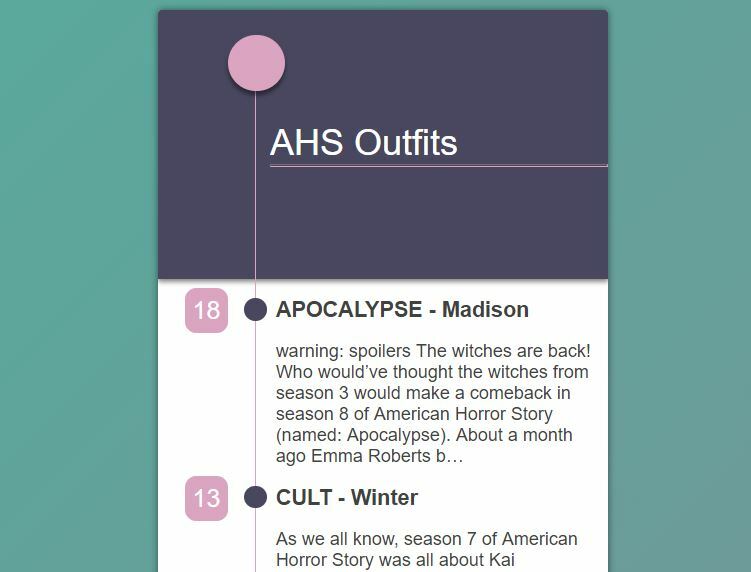 Below is an example of an Atom feed from https://americanhorrorstory.style/. Having an atom feed on your website is a good idea, you can get more exposure via rss readers like Feedly, NewsBlur or NewsFeeder (a website/app i created). Let’s fetch the feed with Fetch API. You can use any valid Atom feed you want. We will use the well supported DOMParser to parse the feed into a document. It’s important to set the type to “text/xml”, because it will default to “text/html”. Let’s log the “xmlDoc” to the console. This will show a list of entry elements, which we need to display our posts. Because the xmlDoc is of type “Document” and not “HTMLDocument”, we can’t use functions like “.querySelector” so we will use “.getElementsByTagName” to select the entry tags. This will return an array like object. To convert an array like object or iterable object, to an array, use Array.from(arrayLikeObject). This will return an array of strings containing HTML markup for our feed. Now we need to fill up the entry elements with content from the Atom feed. We can make this a bit easier by writing some helper functions. // Strip html tags to remove html tags like b, i, h1, etc. with the template string below. Let’s join the html strings together and put it on the page. You can checkout the full example, with code below. I’ve also added some extra css and html markup. See the Pen Atom Feed Reader by LesterGallagher (@Afirus) on CodePen. Easily search for news on multiple platforms, find feeds on popular websites and more. Also works as a classic RSS/Atom reader.